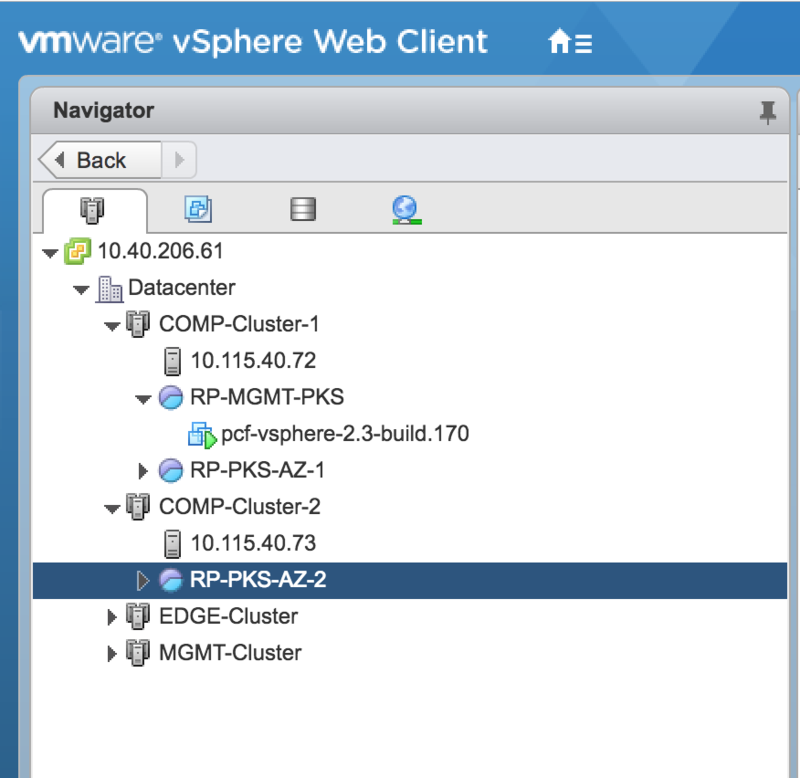 This section provides instructions for preparing the vSphere and NSX-T infrastructure for the PKS Compute Plane where Kubernetes clusters run. 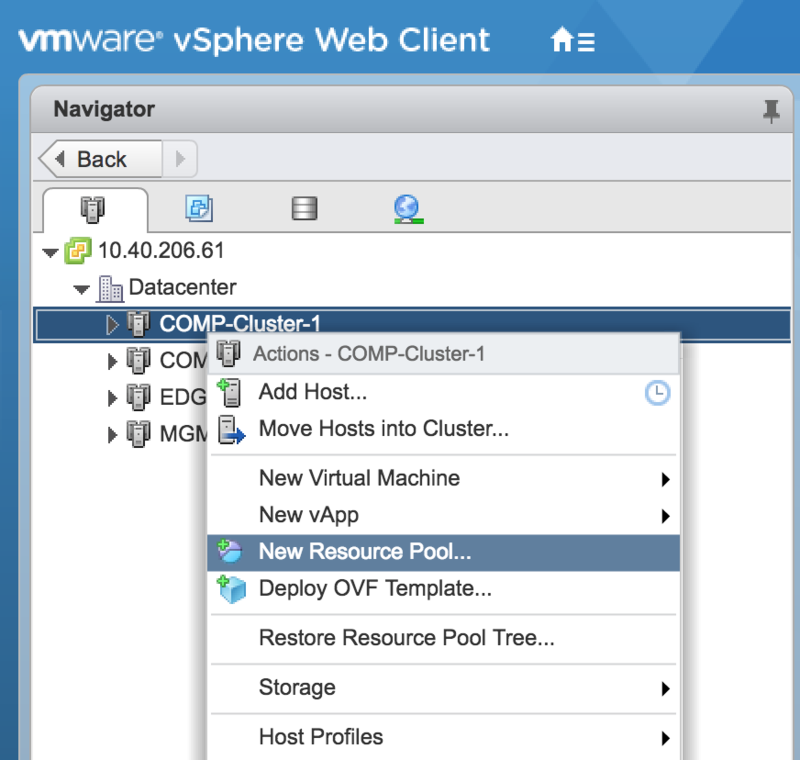 Log in to vCenter for your vSphere environment. Select Compute Cluster > New Resource Pool. 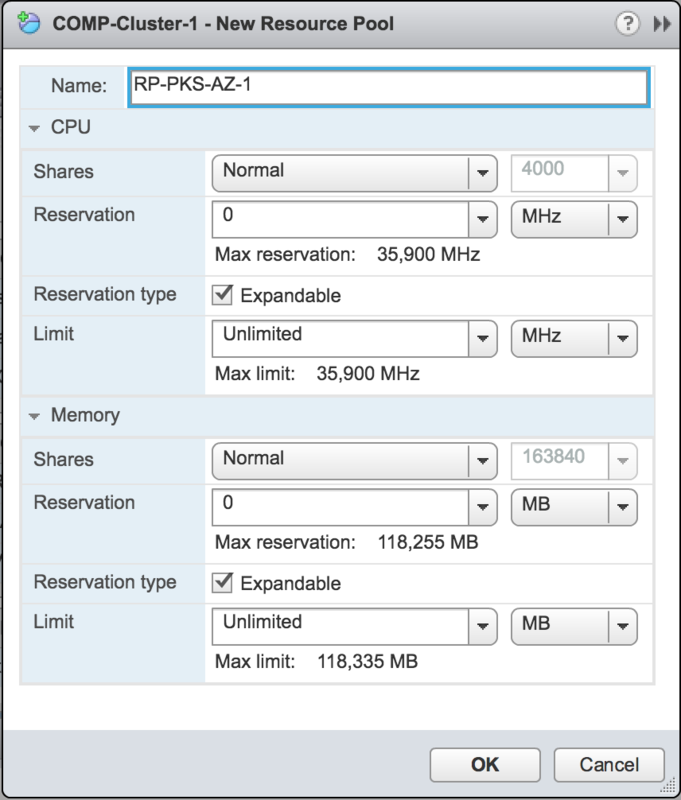 Name the resource pool, such as RP-PKS-AZ-1. 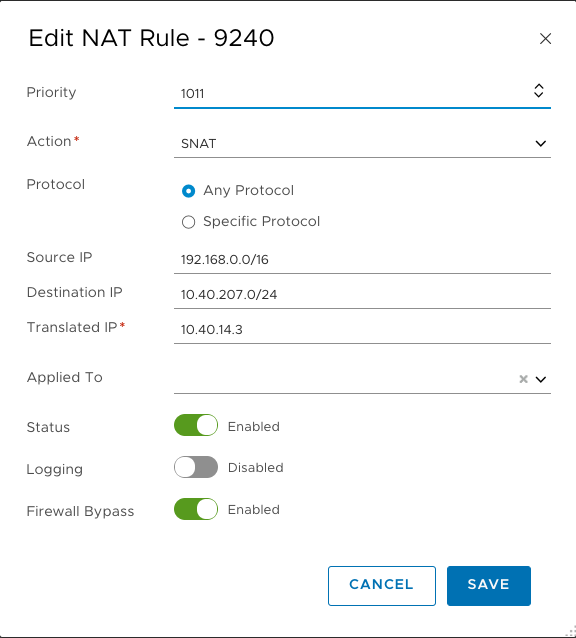 Create a SNAT rule on T0 router for K8s Master Nodes (hosting NCP) to reach NSX Manager. Select the T0 router > Services > NAT. Create a SNAT rule on T0 router for K8s Master Nodes (hosting NCP) to reach AD (LDAP) Server (if necessary). In NSX Manager, select the T0 router > Services > NAT. 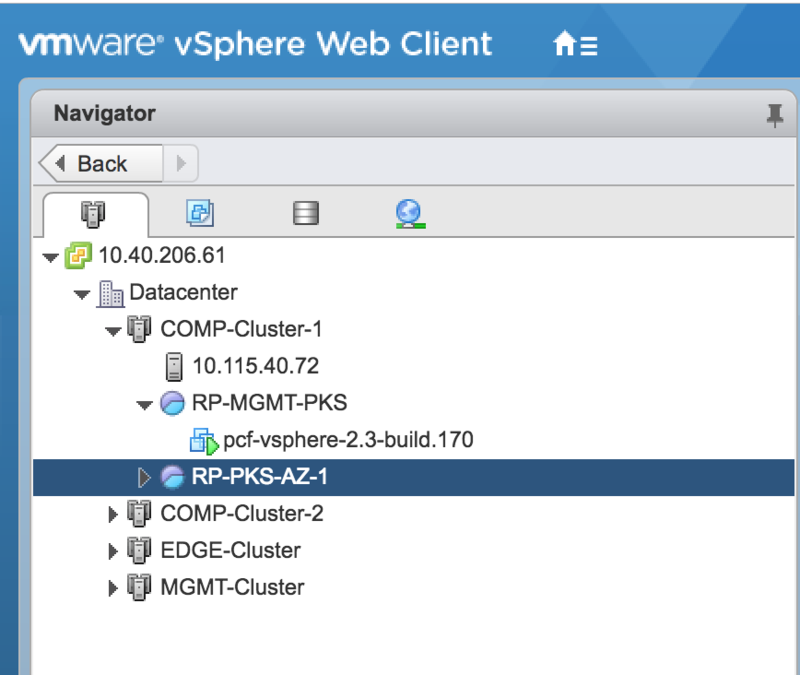 After you complete this procedure, follow the instructions in Deploying Ops Manager with NSX-T for PKS.